Written by Olivier Gagliardini on 13 October 2012 . Download a tar file containing various logo formats here. Written by Thomas Zwinger on 04 October 2012 . In a recent publication in The Cryosphere Schäfer et al. use a Robin inverse method to infer the basal friction from the surface velocities observed in 1995 for the Vestfonna ice cap on Svalbard. The results demonstrate that especially the ice caps on Nordaustlandet, with their mixture of static central parts and fast moving outlet glaciers, demand the correct spatial distribution of sliding coefficients and that - in lack of a complete understanding of the physics taking place at the bedrock - inverse models for the time being are the only means to deliver that spatial distribution. Further investigations of comparison of sliding coefficients obtained for datasets taken at different times shall shed further light on the nature of the sliding underneath Vestfonna ice cap. Written by Olivier Gagliardini on 04 September 2012 . 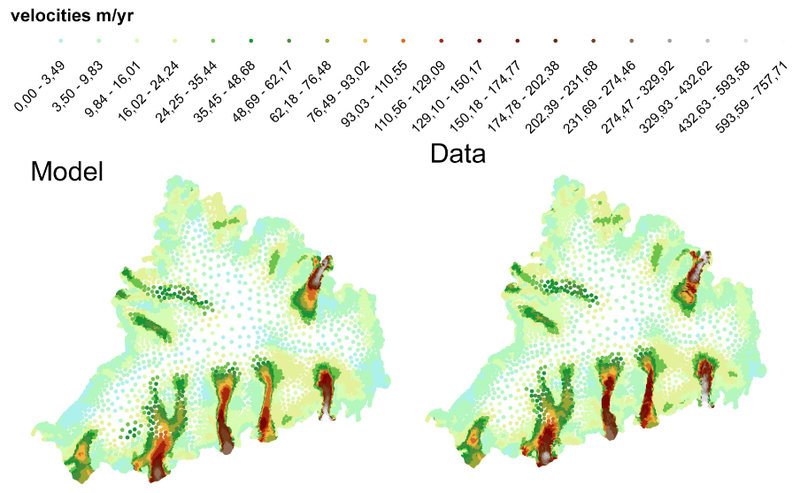 In Adhikari and Marshall (2012, Geophys. Res. Lett. 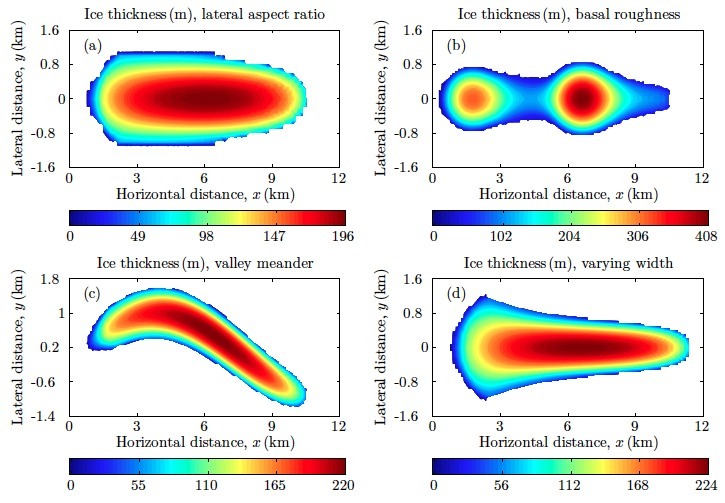 ), the 3D high-order Elmer/Ice model is used to investigate how different topographic and climatic settings, flow dynamics, and the degree of disequilibrium with climate systematically affect the glacier volume-area relation. Authors recommend more accurate scaling relations through characterization of glacier-specific morphology. This motivates a revision of global glacier volume estimates, of some urgency in sea level rise assessments.